Video of a house fire in Watts shows the desperate efforts to rescue twin boys, who later died at a hospital. WATTS, LOS ANGELES (KABC) -- Video of a house fire in Watts shows the desperate efforts to rescue twin boys, who later died at a hospital. The fire ignited around 9 p.m. Tuesday in the 800 block of E. 113th Street. The official cause of the blaze was not confirmed, but neighbors believe an artificial Christmas tree may be to blame. Firefighters pulled the two boys and their father out of the home. They were transported to an area hospital, where the boys later died. Family identified the children as 2-year-old Brenton and Bryson. Their father, who family members identified as Benjamin Fortson, 35, suffered facial burns trying to rescue his children. 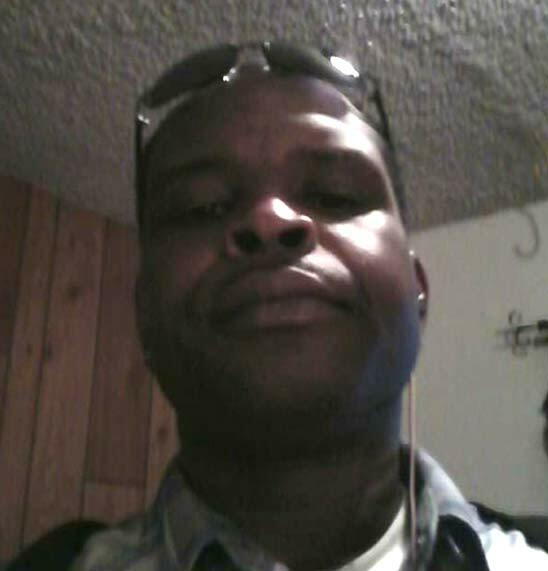 An undated photo shows a Watts father, identified by family as 35-year-old Benjamin Fortson. Cellphone footage shot by a neighbor shows smoke pouring out of the windows of the home. Neighbor Ronnie Bell said there were bars on the windows, which made it difficult to get inside. "We were trying to unlatch the emergency windows, but it was just too hot and we couldn't pry it open," Bell said. "We were calling for the kids, we weren't getting any response. All the while, we're just trying to stay hopeful and try to get them out of there." Bell said his thoughts were on his own granddaughter as he tried to help the twin boys. "I have a 2-year-old granddaughter, and all the while, I'm fighting for them like I would fight for her. You know, it's like they're kids man," Bell said. The boys' father remains in critical condition in the hospital. "The father is on the floor, he's crawling, like, 'My kids are inside. I've got to get them out," described Malcom Howard, a neighbor. "By this time, the flame is already coming to the back of the house and he burns the side of his face off." The boys' mother, who is nine months pregnant, and the twins' 4-year-old sister made it out of the home. They are expected to be OK. Neighbors said about 10-12 extended family members live in the home, and they have lived there for about 55 years. Firefighters said there were no working smoke alarms inside the house, and the bars on the windows hindered rescue efforts. "My sister came by to give the kids their gifts, and she couldn't give it to them, she couldn't give them to the kids, because the kids is gone," said Darryl Bullock, the children's uncle. The cause of the fire remains under investigation. Fire officials said they believe it was accidental.